Lesotho’s major natural resource is water, often referred to as ‘white gold’ by the Basotho people. During 1995 and 1997, with intense construction activities involving the multi-million Lesotho Highlands Water Project, Lesotho registered an impressive economic performance – the real GDP growth rate made Lesotho one of the top ten performers in Africa at this time. Completion of a major hydropower facility in January 1998 now permits the sale of water to South Africa, generating royalties that will be an important source of income for Lesotho. The positive impact of the water project (refer to separate section for further details) and the small but rapidly growing manufacturing sector contributed to the spurt in economic growth. The lessening economic contribution of the project as it nears completion will be more than offset by royalty payments from South Africa. 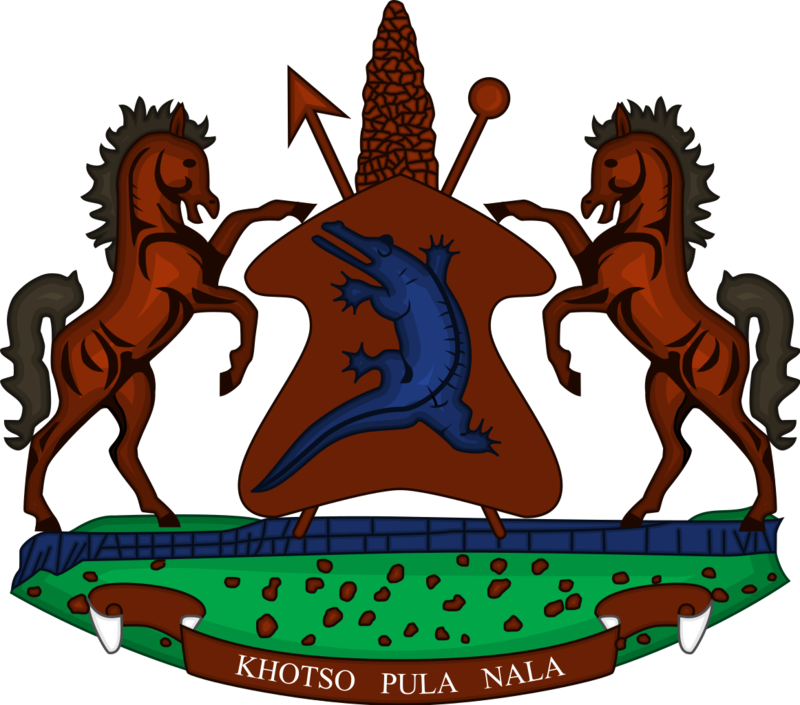 The economy of Lesotho is based on subsistence farming and animal husbandry, as well as small-scale industries that include clothing, footwear, textiles, food processing and construction. The small manufacturing base depends largely on farm products to support the milling, canning, leather and jute industries. The great majority of households gain their livelihoods from subsistence farming and migrant labour, with a large portion of the adult male workforce employed in South African mines (although the number of such mine workers has declined steadily over the past years). In the past financial year, Lesotho’s economy slowed down substantially because of major political conflicts causing temporary disruption in business activities. Unemployment remains high and is one of the most serious problems facing Lesotho, with poverty still severe. 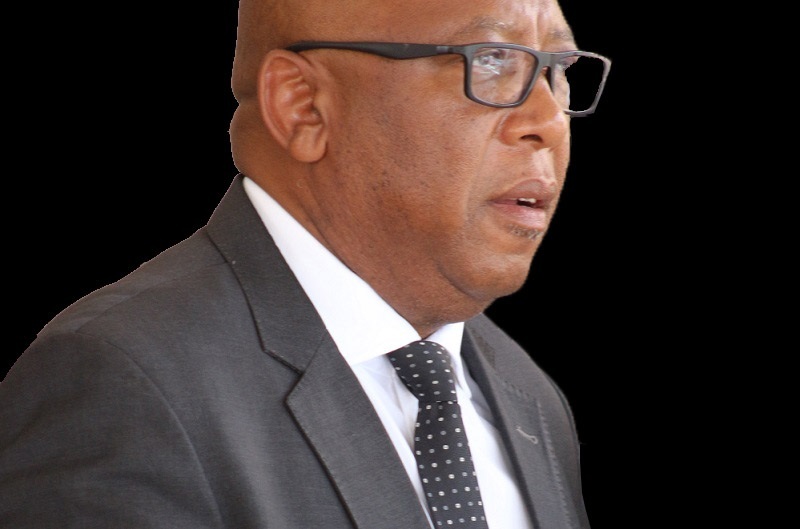 In order to attain its macroeconomic objectives, the government of Lesotho is continuing to place high priority on parastatal privatization and private sector development, with this strategy forming the primary source of growth and employment creation. Based on free market principles and private ownership of property, the Lesotho economy presents a relatively open economic and business climate. Any institutional and regulatory constraints that impede growth are being addressed. Lesotho’s fiscal policy for 1999/2000 and beyond is focused on maintaining budgetary expenditures at sustainable levels. Characterised by the growing importance of the private sector and increased globalisation of production and trade, the economy of Lesotho faces the beginning of a purposeful development phase. The slow-down in the world economy during 1998/99 has had far reaching effects on developing countries, with aid and private capital flows to emerging markets reducing. South Africa itself has the most developed and well-diversified economy, with agriculture, mining, secondary industry, commerce and a broad structure of service establishments contributing to the wealth of the nation. 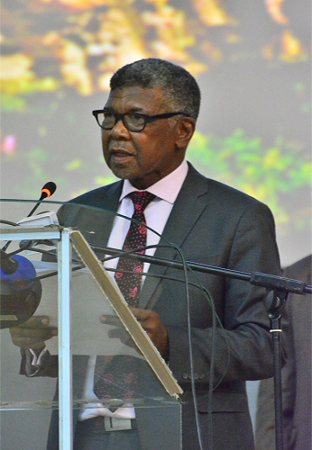 Lesotho’s ability to achieve its sustainable human development objectives is closely linked to the evolving economic and political dynamics of this larger neighbour, as well as other countries of the Southern African Development Community (SADC). Economic swings in South Africa are the largest single influence on Lesotho’s economy, with inflation following the trends in this country. Proceeds from membership in a common customs union with South Africa form the majority of government revenues expected to be significantly affected by events currently taking place in the world economy. Identification of potential foreign investors. 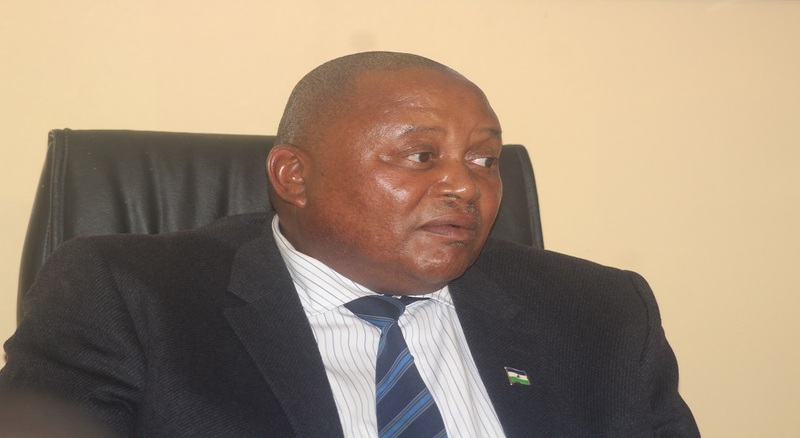 Promotion of Lesotho to foreign investors to set up manufacturing enterprises. Ensuring availability of services, facilities and incentives necessary to make Lesotho attractive to investors . Protecting Lesotho’s image as a highly competitive investment location. A non-repayable skills training grant that covers up to 50% of the wage bill during the initial training period for newly established manufacturing company. Availability of serviced industrial sites and purpose-built factory shells for rental at competitive rates. Declining water and electricity tariffs as a direct spin-off from the Lesotho Highlands Water Project. During 1999/2000 the Ministry of Industry, Trade and Marketing , in conjunction with the Lesotho National Development Corporation and other stakeholders are to review the investment incentive package in order to enhance competitiveness in the region. There are plans to introduce accelerated depreciated allowances on plant and machinery used in new manufacturing process, as well as the possibility of a reduction on municipality rates applicable to industrialists. Fully committed to a free enterprise economy, the Government of Lesotho has mounted an aggressive campaign to attract foreign investments coupled with an extensive programme of guiding local entrepreneurs in establishing their own business. As a result, many industries have been established not only to serve the local market, but also to tap export opportunities. In the past few years, considerable progress has been achieved by the Kingdom of Lesotho in the exportation of its products. This is reflected not only in the steady growth of the country’s exports, but also in the range and variety of products exported as well as in the number of countries to which Lesotho exports. There are a number of factors, which have contributed to this success. Foremost among these is the premium quality of the products exported. This, together with the most competitive prices, enables Lesotho to carve a respectable niche in the world market. Another advantage, which has served Lesotho’s exports well, is its privileged position vis-à-vis developed country markets. Under the Lome Convention, its exports are given duty-free access to the EU market. The Generalized System of Preferences in other developed markets provides a number of concessions, which make Lesotho exports very competitive. In addition, Lesotho has duty-free access to the SACU market and some duty concessions in SADC member states. Best known for its diamond exports, there are also proven deposits in Lesotho of other minerals and semi-precious stones. These are continuously being explored and developed for the export market. Wool and mohair export continues to be substantial, and from these, hand-woven tapestries are produced which have gained acceptance as original works of art. More recently, mohair yarn, handspun in numerous co-operatives throughout the country, has been highly regarded for its warmth and beauty, its softness and strength. The traditional skills of weaving, braiding and pottery have also been harnessed to produce exquisite hand-crafted articles such as knitwear, jewellery, basketry and a host of handicraft items. Many of these products demonstrate such fine workmanship, which defies comparison with machine-made articles. From its expanding manufacturing sector Lesotho is particularly proud of the wide acceptance obtained from its exports of premium-quality tapestries, wall hangings, mohair, quilts, curtaining, sheepskin, slippers, jackets and hats, leather, garments, pharmaceutical, footwear, and car seat covers, to name a few. Many more products are constantly being developed and adapted to meet the tastes and requirements of specific foreign markets. Readers who may be interested in any of the products featured in this article, or in obtaining information on Lesotho’s other products are requested to contact the Trade Promotion Unit, Ministry of Industry, Trade and Marketing. Lesotho’s network of trade preferences has played a crucial role in providing favorable access to world markets. Ideally located for export orientated manufacturing industries, foreign companies are able to serve world markets – there is access to 28 million consumers in the Southern African Customs Union and 360 million consumers in the European Union. The highly concessionary Generalized System of Preferences gives access to North American, Japanese, Nordic and other developed markets, with preferential access to 18 markets in the Preferential Trade Area in eastern and southern Africa. Other preferential trade agreements have been entered into with the Southern Africa Development Community, and countries of the Western African Preferential Trade Area. Bilateral trade agreements have been concluded with a number of countries. National efforts to attract more inward investment include double taxation agreements with other countries. The National Assembly has recently approved a new double tax agreement with South Africa. Lesotho has also signed a double taxation agreement with the United Kingdom, with an agreement to be effected with Mauritius in the near future. For goods imported into the Common Monetary Area duty is rebated on a range of articles as well as materials imported for manufacturing or processing. Agro-industries, especially in processing of locally produced wool and mohair, establishment of mineral water bottling operations. Electrical or electronic consumer products – strategic partners to produce TV sets, video cassette recorders, electronic stoves, microwave ovens, refrigerators, washing machines and dryers, telecommunications equipment . A wide range of potential projects in the manufacturing, construction and services sectors connected to the Lesotho Highlands Water Project. Consulting engineering services for rehabilitation of rural hospitals . Hotels, lodges and other facilities catering for tourists . Production of high quality rock-wool for insulation . Use of local clays for production of ceramic products such as sanitary ware, stoneware utensils, glazed advertising slabs. For detailed information about economic indicators, visit the Central Bank of Lesotho web site.